While Ottawa is more than welcoming now, the city hasn’t always been that way. Nearly 200 years ago, a British colonel, Colonel By, was sent over and put to the task of protecting Canada from its pesky American neighbors, rumored to be planning an invasion of Canadian territory by way of the St Lawrence Seaway. It turns out that while we made our way through the city this summer, I wouldn’t have been the first American attempting to conquer this area of Ontario. It was Colonel By’s task to construct the Rideau Canal, which, in bypassing the St Lawrence River bordering New York, would secure the supply and communications route between Montreal and the British naval base in Kingston. Travel would proceed along the Ottawa River to Bytown (named for Colonel By, this was originally a makeshift town in the swampy wilderness. 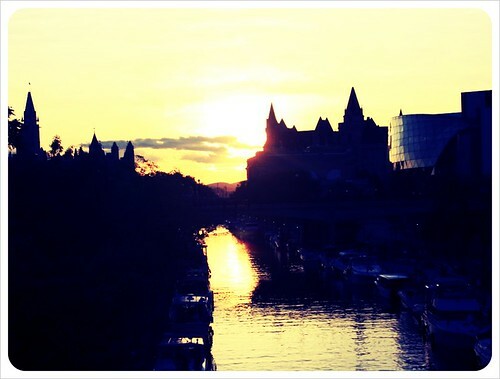 It’s known today as Ottawa) and then continuing southwest via the canal to Kingston before emptying into Lake Ontario. 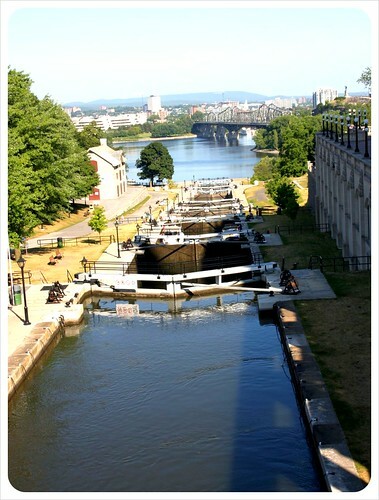 Today, these eight mighty locks are a perfect starting off point for exploring Ottawa. Now a UNESCO World Heritage Site, Locks 1-8 lower the waters of the Rideau Canal to meet the Ottawa River 30 feet below. 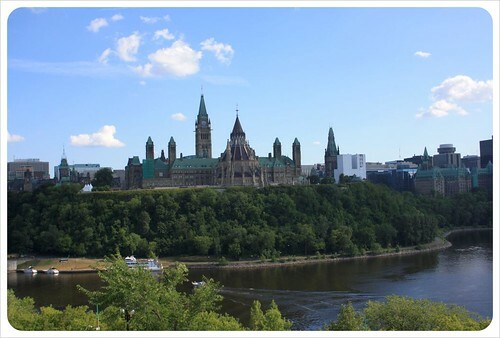 Both the majestic Parliament Hill and magnificent Fairmont Chateau Laurier castle hotel rise high above the Rideau to give this part of Ottawa an entirely old-world feel. Strolling along the path by the locks here is relaxing, and the Bytown Museum (can you guess its namesake?) is a great little spot to learn more about the building of this engineering marvel. Looking to cover more ground, we headed to Rentabike, not 50m from the museum along the canal. After stocking up on heaps of great advice from the owner, we hopped on our fancy cruiser bikes and never looked back. 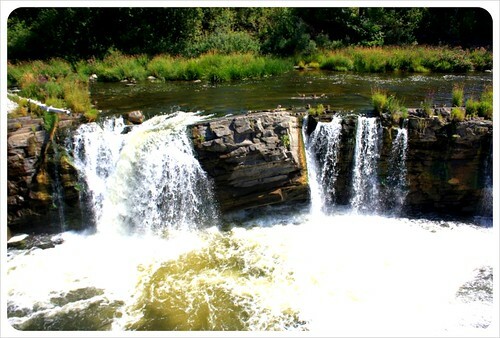 First we shot up the canal away from the river, past the paddle boats on Dow’s Lake, and stopped at the sound of pounding water – the waterfalls of Hog’s Back. Already feeling free of the city just 30 minutes after renting the bikes, a quick turn to the northwest led to a patch of rural farmland. We were now riding through the area known as the Central Experimental Farm, a true urban oasis filled with acres of crops, lush green grass, classic red barns and their barnyard animals. From here, signs for the cycle paths back to the city were easy to follow. Continuing westward, the path met up with the Ottawa River, and it was here we discovered the rock art by Jean-Félice Ceprano, a truly inspiring find we would have never come across without the bikes. Ottawa is a cycling city and thousands of Ottawans (very courteously, of course) commute back and forth from work as much as to enjoy the outdoors. In fact, Ottawa has over 200 kilometers of bike paths, we had been told, but in our six hours out on the bikes, we only managed 30 km. Before bringing the bikes back, it was time for a late lunch at the Byward Market. Established by Colonel By in 1826, this is Canada’s oldest public market, covering nearly four square blocks of restaurants, pubs and some incredible specialty food shops. After lunch we popped in to a cheese shop so specialized, it even carries our favorite brand of Norwegian cheese! In an amazing case of self-restraint, however, we walked out empty handed – but only because we knew where we were headed next: the Beaver Tail stand. 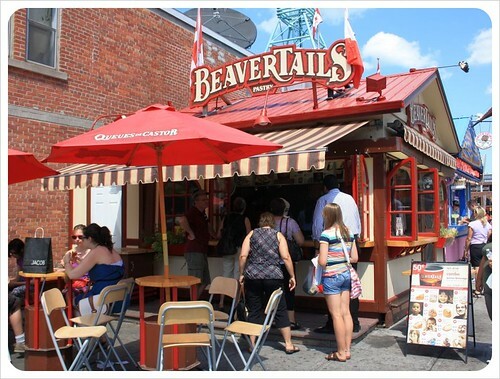 Beaver Tails are Ottawa’s classic deep-fried, doughy delights and are best enjoyed in Winter with a hot cup of coffee to warm up. You might be enjoying a break from ice-skating along one of the world’s longest ice rinks. Stretching seven kilometers from the Ottawa river, the frozen length of the Rideau Canal converts Ottawa into a winter wonderland and when it re-opens in mid-May, several boats pass through the locks each day, some heading down to the Ottawa River. While one hundred years ago, the river would have been packed with thousands of logs rushing down it as a part of the logging industry, today this aquatic hotspot is packed with speed boats, kayaks, yachts and even white water enthusiasts – although that takes place up the river about 90 minutes from downtown. We wanted to get out on the river, but also wanted to do a city tour – Lady Dive amphibus tour met both those needs. In its bus form, we tooled through town on four wheels, marveling the architecture and learning about Ottawa’s complicated past. We then plunged into the water next to the Britannia Yacht Club and, as soon as we got our sea legs, we floated past the Museum of Civilization, a mega-museum which takes visitors through 1,000 years of Canadian history and also has a children’s museum and a 3D IMAX theater. Make sure to plan at least one day here, if not two. Also set on the river is the National Gallery, considered Canada’s premiere art museum. We really enjoyed the permanent exhibits, which are on par with top international galleries. True culture vultures might want to plan in at least half a day to visit, though any travelers on a budget should visit on Thursdays, when entrance to the National Gallery is free from 5-8pm. 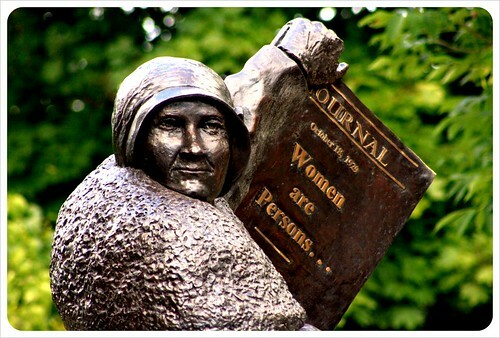 Ottawa has plenty of public art as well, from the statue of Canadian blues legend Oscar Peterson (at the corner of Elgin and Albert) to the many statues located on top of Parliament Hill: The ‘Women are persons!’ sculpture and the Queen Elizabeth II statue accurately characterize the history of women in Canada. After the river cruise, we sprinted up to Parliament Hill for a look at these statues and to take part in the free guided tour of the Parliament building’s Centre Block (daily, more frequent in summer). This tour was the best to help us grasp the political history of the nation as a whole. While out on the Ottawa River, it was not immediately clear that we were floating along a heavily-contested, well-protected border. There are no border control guards and we didn’t need our passports. We didn’t even leave the city. But, as we learned on the Parliament tour, the Ottawa River is where English and French-speaking Canada converge, and this border, a sociocultural one, is fervently protected on either side. This fact is not obvious to casual visitors except for strict language difference on either side of the river. 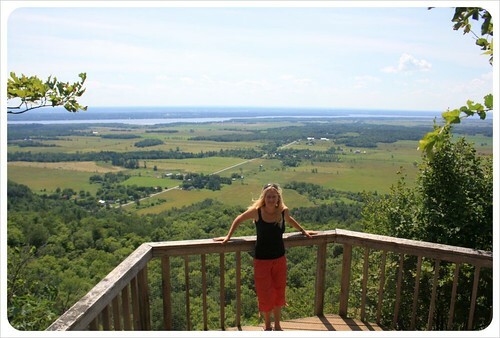 We had overheard snippets of French throughout our time in Ottawa, but our day trip over the bridge to the Gatineau Park on the Quebec side saw us struggling to order lunch in some pretty rusty French. Luckily most of our day hike through the gorgeously green Gatineau required very few words at all. Both sides of Ottawa boast such fresh, green space, as do the 202km along the Rideau Canal. These calm waters can be explored by boat, which takes up to seven days to make it through all 49 locks along the Rideau Canal to Kingston on the St Lawrence River. 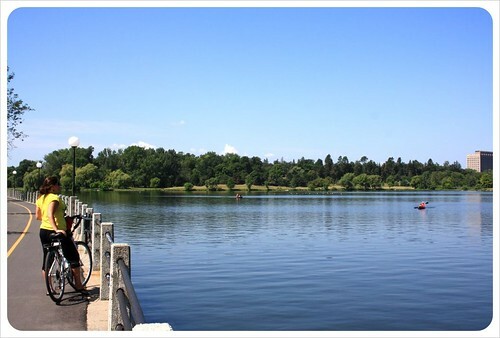 During our time in Ottawa, we chose to cycle and drive most of the way, meandering along country back roads and through picture perfect towns like Merrickville and Perth. There is also a trail for hikers, bikers and cross-country skiers. 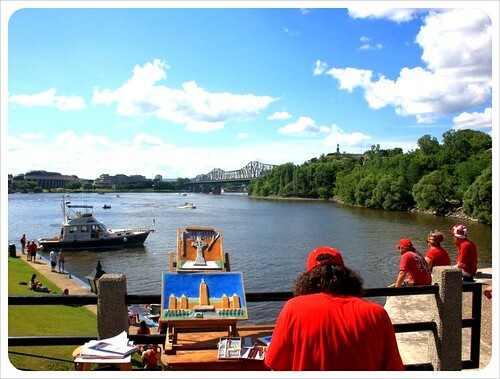 No matter how you choose to explore Ottawa, whether by boat, bike, car or kayak, the key to discovering the city’s heart begins along the city’s locks. 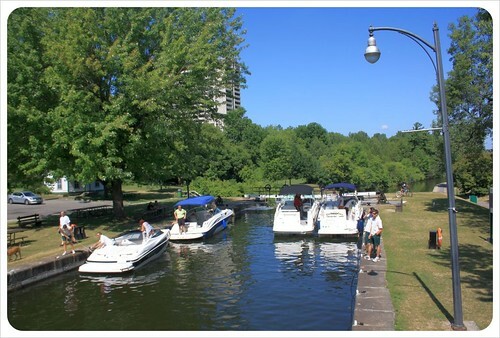 For more information on the Rideau Canal, check out the Rideau Heritage Route. A big genuine Thank You goes out to Ottawa Tourism, who provided some great tips and tricks to help us get the most out of our Ottawa trip. How to conquer Washington, D.C. 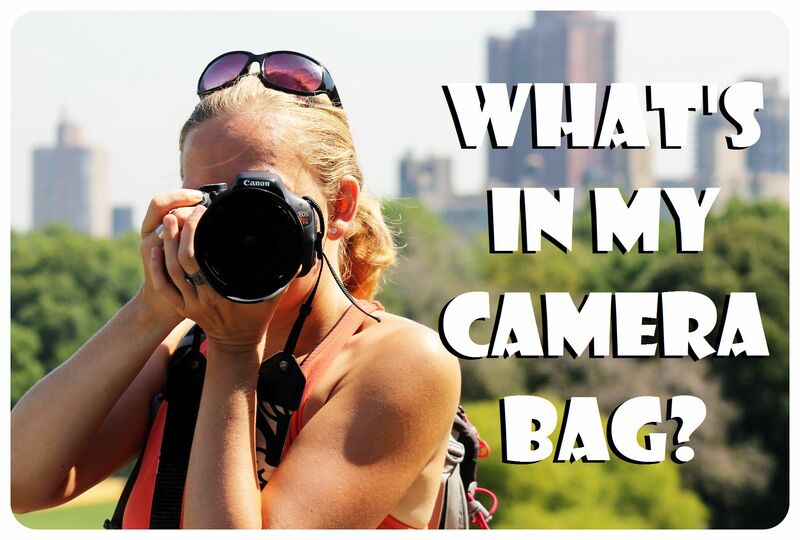 Thanks Sophie, Ottawa is a fantastic city and we were surprised how much there is to do! We had a great time there this summer. 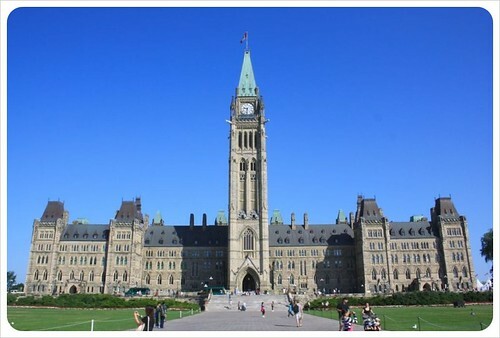 I am really looking forward to going to Ottawa someday! It’s a great place to visit, James, especially in spring or in the summer months! I grew up in Ottawa and remember the city mostly for great cycling, the Byward Market and the proximity to the Gatineau Hills. I am heading there for the first time in over 20 years after Christmas – hoping for a frozen canal – and looking forward to rediscovering the city. This is so much information, I hope I get to go to Ottawa someday and use it. The bike riding sounds lovely. I am not a mountain biker but I love cruiser bikes for leisurely sight seeing. 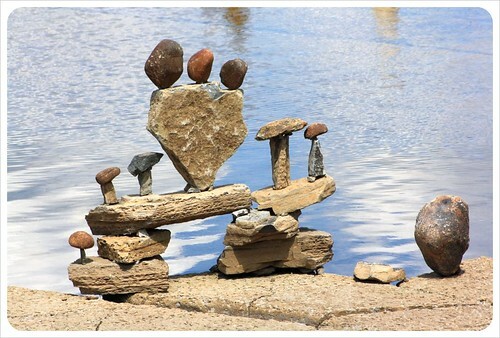 That rock art photo is awesome!